It has been a long time since I ran and came back. I thought I was done running and that the part of me that longs for solitude and anonymity was barricaded off along with the part of me that feels. It has been a long time since I have felt myself breaking, splintering into more pieces than I knew were possible. It is not just here it is my home that I want to be away from. I said that would never happen again. Unfortunately I let someone in there that broke me further and despite repeated attempts to distance him from me without involving law enforcement have proved futile. He just doesn’t understand that what he is doing is hurting me or at least I hope he doesn’t understand. If he does it just means he is a selfish leech who only wants to continue to live off of me like he has since I broke up with him several years ago. It is partially my fault because I felt bad for him and didn’t want him to be homeless but all I want now is to have him gone and my house back. I never thought being nice could hurt me so bad for so long. It is very true no good deed goes unpunished and even though I have begged him to leave and stop leeching off of me it is going to take law enforcement to get him out. How did I get myself into a situation where I want to run from my own home? He knows it hurts, he knows what his refusal to leave does to me, how it breaks me a little bit further and still he chooses to torture me instead of simply leaving. This entry was posted in Broken, Deranged Art, School, Work and tagged anxiety, cracked, cutting, Disorders, Games, Health, insanity, Law Enforcement, Prison, United States. Bookmark the permalink. You are in a difficult place. I understand your need to rid your self of a leech, who would not want to be clean of such creatures. Maybe extreme measures have to be taken. After all it is your life. For how dare an individual defy your requests to leave your house. I would be exploring all avenues of assistance in this case. You have to look after yourself, your disintegration benefits no one especially you. Take care, do what is right for you. It is my fault that he has been here this long. I just have a hard time hurting anyone that I don’t want to do it. I broke up with him five years ago now and he still tells everyone he is my boyfriend (kack). He won’t let me go no matter how much I beg and plead for him to. I have tried to talk rationally to him but that doesn’t work either. 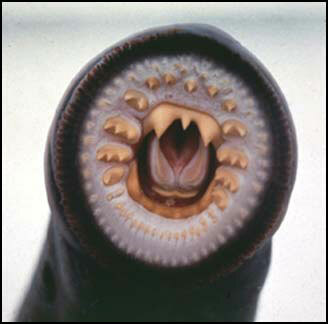 Somehow I don’t think that will work with the lamprey that he is. I wish I could. Get the law involved! Do whatever it takes!!!! Don’t allow this to continue. Want me to assist with this asshat extraction?? I agree with Alice. It is a time for action. Unfortunately it is a bit difficult when I am in the situation I am in. It just seems that it might be easier just to run. I agree with Alice. You have to do what you need to do as it is your life that he is playing with. You have a right to your life free from arseholes stuffing things up for you. Part of my problem is that I don’t think about myself. I push myself for others and wind up doing something damaging to me to help them. I am learning… slowly but I am learning. Thank you. Listen you and I are SOOOO alike,,I give more of my time to others I leave NOTHING for me. Sometimes I can give people advice I should be giving myself..
And if you do Skype, get me added..
this Award for the reasons in Red. I hope you can accept. REMEMBER, YOU GO TO http://www.momentmatters.com/awards/ WHERE YOU CAN DOWNLOAD YOUR 2nd or 3rd or up to 10!! I would be honoured if you could accept.